2016 and 2017 have definitely been the years of the highlighters! 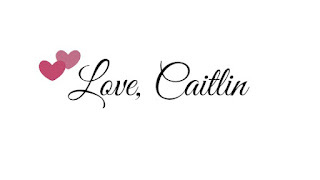 I know that is what the main focus has been on my blog lately, but can you really blame me? I never used to like highlighters at all until I discovered ones that were perfect for my skin tone and I am now obsessed!! All of the highlighters I have reviewed on here have been the perfect finds. Just take a look at this Makeup Revolution Skin Kiss Highlighter! 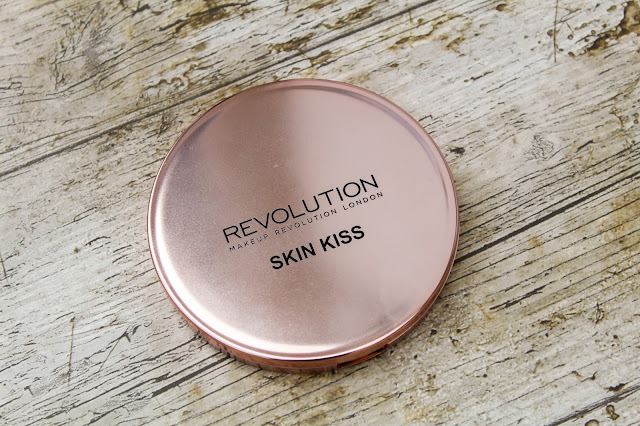 Makeup Revolution is one of those brands that constantly churn out products like there's no tomorrow. I mean, I could probably just dedicate my whole entire blog to posting all about their products and I would never, ever run out of new content (maybe that's not such a bad idea haha!) - however, today I have decided to just focus on one of their new-ish releases and review it. That is the Skin Kiss Highlighter which don't just photograph amazingly but apply pretty damn good too. These highlighters come in 3 shades, Ice Kiss, Golden Kiss and Peach Kiss, however, I could only manage to get my hands on one of the shades and that is the shade Ice Kiss and that will be the one that I review today. Starting with the packaging on the boxes themselves, I love how it has been designed and the fact that they have changed the colour of their boxes to make it easier for makeup lovers who might be a little lazy (me) can easily pick them out of their drawer, depending on which one you want to use. This unfortunately doesn't translate to the packaging of the actual product itself. I tend to get rid of the boxes of my makeup as they end up taking up a lot of room in my small dressing table and they also can be a little bit bulky. Luckily, at the moment, I just have one of these because if I had more then I would have to keep the boxes to see which one I was picking up. I know that this isn't a major problem and it especially isn't for me but I guess it could be a little annoying for some people. I do, however, absolutely love the rose gold packaging that they have chosen to use. They're really keeping up to date with all the latest trends and what people are after and drawn to. The only annoying thing that comes with this packaging is the finger prints! These highlighters also have a huge mirror in them too which makes it perfect for on the go. As for the actual product is self, the pan size is massive. They are honestly the biggest pans for a highlighter that I own and trust me, I am not complaining at all! Ice Kiss was the shade that I was drawn to the most, as I am quite pale. It is the perfect shade for someone who is more on the pale side like me. 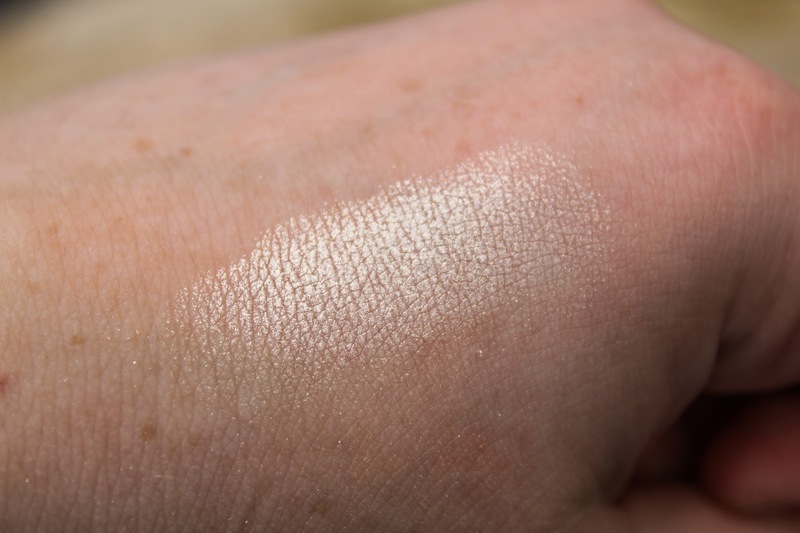 This is nothing like the Mary Lou-Manizer as that is more of a champagne, gold toned highlight, but this one, like the name suggests, is a more ice-white highlight. It is definitely an intense highlight, I wouldn't really wear it as much during the day time as it is so intense but if you're into that then go for it! This is the type of highlighter that I would wear on a night out to make sure that my highlight is poppin'! If you use a very light hand, this highlighter can look like a really beautiful glow on the skin, but I have found it to be a little tricky to not go overboard. When swatching Ice Kiss I loved how buttery smooth the texture was as I glided it onto my skin. The pigmentation is also outstanding too! The finely milled formula lets you layer it to reach the kind of glowing achievement easily and effortlessly making them suitable for all skin tones. The highlighters aren't very shimmery or too sparkle if that is something that you might be worried about. Because the formula is finely milled they produce a metalic to pearlized finish, which is attractive on any complextion. I absolutely love these types of finishes. You don't end up looking like a glittery disco ball by the end of the day haha! Your skin just looks lovely and glowy. These highlighters are priced at £5, this is a little more expensive comapared to other highlighters by Makeup Revolution, however it is a lot, lot bigger as you get a whopping 14g of product in the pans, so this is going to last you a hella long time! Overall, I don't think you can go wrong with these highlighters at all. 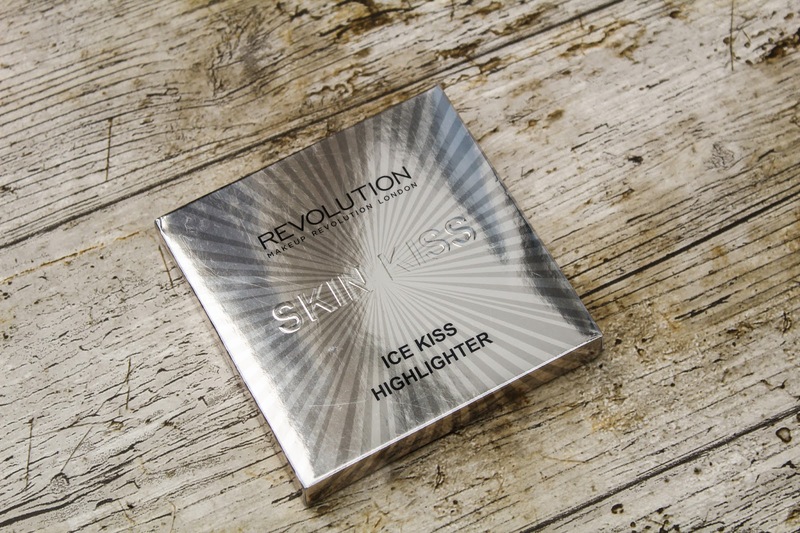 Even though Ice Kiss is a little too strong for daytime wear, I will continue to use it for night time and nights out. Like I mentioned before, for £5 you are getting 14g of product compared to the 7-8g of products in any other 'normal' sized highlighter pans, so I think that this is amazing value for money. There is also Golden Kiss and Peach Kiss highlighter too which I would like to try out too. 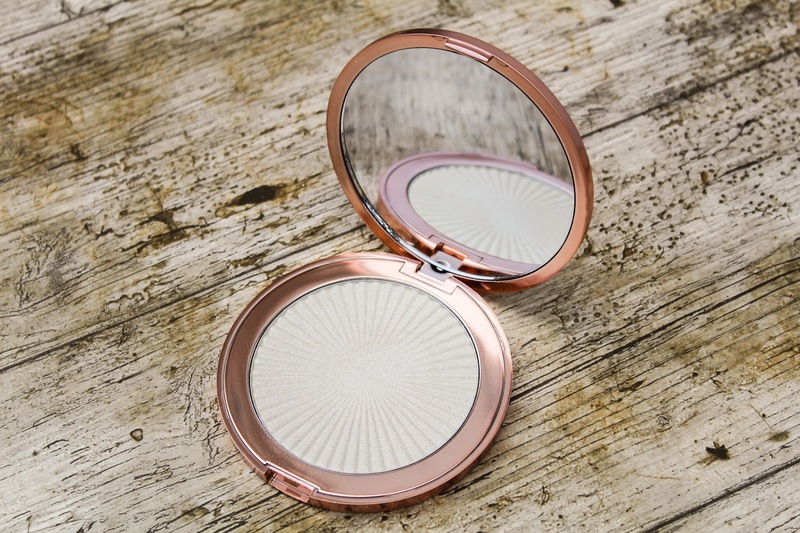 You can pick this up from either the Superdrug website or Makeup Revolution's website. What do you think of these highlighters? Let me know in the comments! yeah, I'm going to pick one up next time I'm in Superdrug.